Can a father’s cannabis use alter the epigenome inherited by his offspring? The 18th-century Dutch microscopist Nicholas Hartsoeker theorized that if you viewed human sperm at a high enough magnification you would see they took the shape of little men — homunculi — who were the microscopic images of their fathers, ready to be enlarged in their mother’s wombs. The development of scientific genetics, of course, rendered Hartsoeker’s ideas preposterous and gave us an understanding of the equal genetic contribution of both parents. When it comes to the epigenome, however — a host of non-genetic factors that dictate which parts of the genome are active and which remain dormant — it has been the mother’s role, rather than the father’s, that has been emphasized. There is growing evidence that portions of a parent’s epigenome can be altered by the parent’s environment and behavior and then passed along to offspring. Because of a mother’s key role in shaping the in utero environment for fetal growth, researchers have focused on whether, for instance, the effects of maternal stress or exposure to certain chemicals might alter her child’s epigenome. Less has been said about the father’s role, since his contribution to fetal development, though genetically crucial, is also rather fleeting. 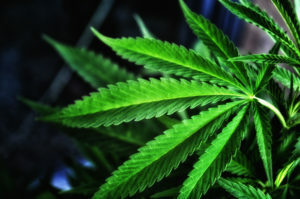 But with the intriguing results of a seed grant provided by the John Templeton Foundation, Duke University Medical Center researcher Susan Murphy is investigating the ways that voluntary chemical exposure — in this case to cannabis — might alter the epigenome a father passes to his offspring. Murphy — whose previous research has included investigations of the in utero environmental effects on the epigenome — devised the pilot study to test whether exposure to THC (the major active component of cannabis) creates heritable effects on DNA methylation. This selective marking of DNA with methyl groups can provide a heritable imprint affecting which of a father’s genes are activated as his offspring develops. Researchers in Murphy’s lab developed experiments to test the hypothesis on both rat and human models. A portion of a cohort of 80 rats were dosed with THC; the human study drew on a mix of regular cannabis users and non-users. The results of the pilot study were compelling. 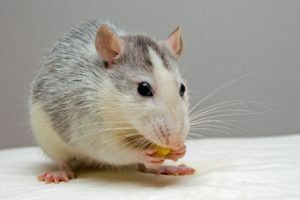 For the rats, THC exposure corresponded with up to 50 percent differences in methylation compared to the control group. In men, the difference was up to 30 percent. Based on the pilot study, the Templeton Foundation has authorized funding for a larger scale three-year, $3 million investigation into how THC exposure influences the alteration of epigenetic information in sperm across the full genome, how such changes influence offspring behavior, and to what extent such altered methylation can be transferred across generations. Sir John Templeton was particularly interested in advancing the study of genetics and other forms of inheritance as a means to understand and attenuate future human suffering. The scope of influence of the epigenome, and of methylation in particular, is only beginning to be understood. But findings such as Murphy’s suggest that the choices mothers — and fathers — make can have multi-generational effects on what their children become.